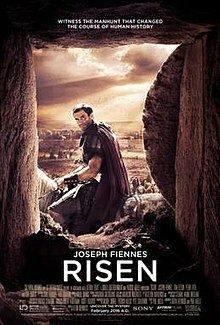 I wasn’t expecting much from this, a roman tribune tries to find out what had happened to the body of Christ after it disappeared from it’s tomb. Not too bad a movie, perhaps a little strong on the religious side, at the ending felt a little lacking, but all in all the think the movie told the story well. Anyway, I’m going to keep this short because I really don’t have a lot to say about it. We start right with the action and far too much shakey cam. The shakey cam improves later, but in the early action sequences it’s so bad that you can’t even be sure if the actors are who they’re supposed to be. Maybe the main cast wasn’t available for this bit and they got in the B team. They seem to just gloss over the small detail of a nuclear weapon launched at a major American city in the first movie. How many would have died had the Avengers not redirected it into space? Those deaths wouldn’t have been the fault of the Avengers but of the faceless bureaucrats. The avengers divided themselves into two factions, those willing to sign their rights away and those who refuse. Basically it’s Iron Man vs Captain America, both of whom enlist other heroes as well as Avengers. To be honest after 5 rotten Spiderman movies, I think this is the best I’ve ever seen him. In all, the story isn’t too bad, it fact it’s a better movies than Ultron was. The story does though require a lot of luck on behalf of the villain. The plot requires both the Captain and Iron man to be at a certain location at the same time having independently come to the conclusion that they need to be there. It was slow starting. The white witch losing her child and trying to steal children from nearby villages to compensate for her loss. 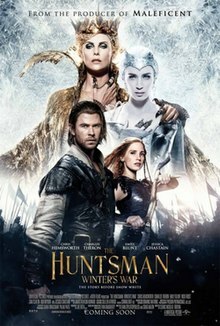 Thor is one of these children, growing up to become the Huntsman in the previous movie and obviously in this one. Silly moments with Goblins and Dwarfs and the One Mirror made it feel like a kids movie, but it got better. Talking of the One Mirror, there were time it felt as if we were back in Lord Of The Rings territory or in some cases even Narnia. The Mirror is possessed by the evil Queen from the first movie, she is summoned and thus we see how weak the white witch (her sister) really is. Entertaining in it’s way, there were some scenes that the absence of which would have made them more entertaining.